Intuition, Denial, Anger, Apathy, Emptiness, Accountability, Forgiveness, Hope, and Redemption. All of these words command some sense of power and importance. 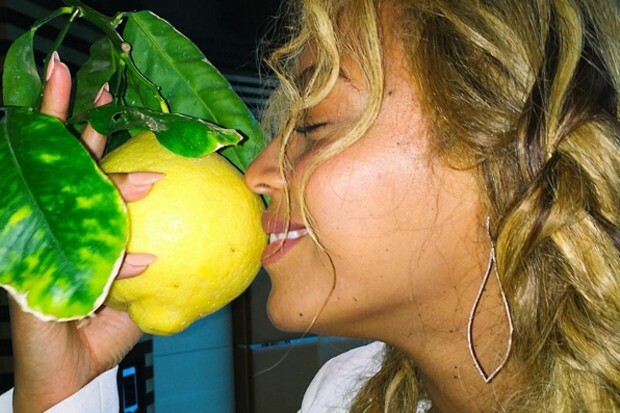 All of these words map out the storyline of Beyonce's new visual album, Lemonade. I'm not sure that even the most die hard Beyonce fan was prepared for the production that is Lemonade. From the moment the title was released, the speculations began. What would Beyonce do now? One thing is for certain, Beyonce always goes full out. She doesn't half step! Answers came last night as HBO featured Beyonce's new visual album. The excitement broke the internet. Comments surrounding Bey's choice of visuals, the content of some of her songs, and the status of her marriage to Jay Z seemed to pour into all of my feeds. 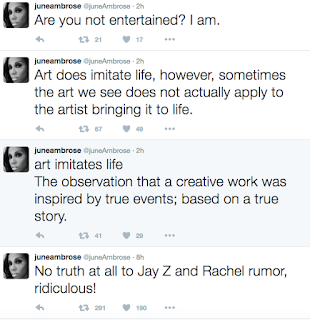 I applauded June's tweets..not becuase it really matters what people think, but because for once somebody was actually letting Beyonce be. AN. ARTIST. 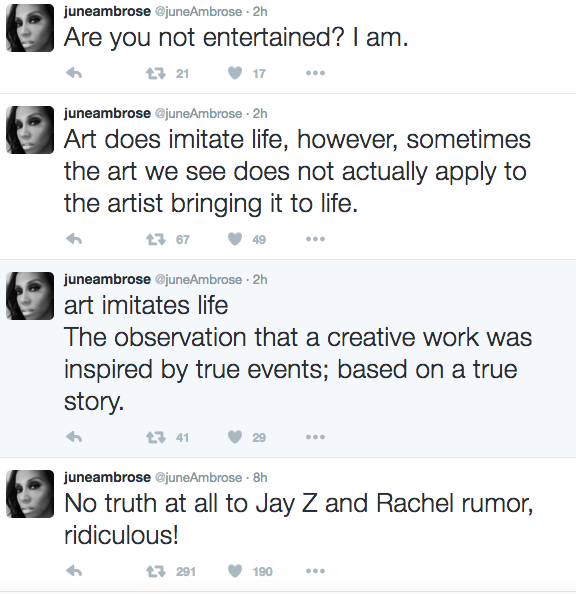 Who creates whatever she wants, and who doesnt have to be talking about her real life experiences...but.. lets just imagine she is. I still can't draw the same conclusions I've seen shared via social media. What I got from Lemonade is that love is durable. When it is real, it can be stretched, bent, thrown away and return more resilient for having seen the trenches. I saw two of the biggest artists we have ever known use their relationship status to demonstrate the pain and glory of a lifetime of devotion to another person. I saw and heard one of the biggest artists of all time use her own torn relationship with her father to demonstrate growth. I saw the beauty in forgiveness. Beyonce called upon visuals that were mind blowing and engaging. Equally as satisfying as the visuals and content was the poetry that seemed to direct the film from beginning to end. Beyonce narrated the film with poetry from the beautiful Warsan Shire. Shire's words are striking, and throughout the film they shifted and pushed the nine themes into action. I have already come to love listening to Shire's "warsan versus melancholy (the seven stages of being lonely)". Finally, Lemonade pushed through to remind us of the beautiful way in which a black woman graces this earth. How we have been dealt crappy hands here in America, but we've managed to keep hold of our glory. We are a group of people who have held on to your culture, families, and love against every odd known to man. Beyonce celebrates the vulnerability, power, intuition (obviously), and overall beauty that is black womanhood. I celebrate her for that. You'll see quite a few familiar faces throughout Lemonade. Beyonce made sure to include quite a few young ladies we know and love. For me, the best cameos came from her babygirl Blue, and Jay Z. To see Jay so vulnerable during Sandcastles after such heavy content about marriage infidelity was special. Even if it wasn't all about him, he's smart enough to know that it would be assumed as such. The moments shared between the Carters are like silk. The visuals of the couple are soft and reassuring. I have said too much, and not enough. Im going to end here. Really, because you'll only understand how artistic and dope this visual is by watching it. You can watch Lemonade below, or on Tidal & if you are not in that lucky number of Tidal subscribers like me, you can now get the album on itunes! Thank you Kayki! You're the first legitimate source I've seen to acknowledge the simple truth that Beyonce is an artist and is blessed with the gift and platform to tell authentic, passionate stories. It doesn't matter if they are her's, a friend's or a stranger's. I was surprised that so many listeners and fans refused to accept this body of work as just a relatable reflection of life in all its rollercoaster glory. Lemonade in both forms is a lot to take in. Thankfully, I've got a few weeks to sip on it enough to be tour ready.